Welcome to the Pre-College Program page. 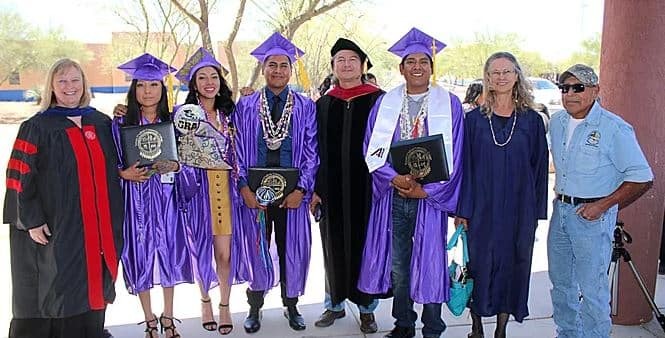 On this page you will be able to find information pertaining to Tohono O’odham Community College’s Pre-College Program, formally GED. TOCC is committed to assisting students who would like to obtain their High School Equivalency Diploma. The Pre-College classes run on a semester to semester basis and are held at various locations on the Nation. Registration for classes is on first come-first served basis and is limited in seating. Currently, our Pre-College Program is housed at our West Campus location in the Mural Building. We look forward to your inquiry and cannot wait for you to join us along your educational journey. ​Students who enroll in the TOCC Pre-College Program and who pass the National GED Test will be eligible to participate in a Commencement ceremony in May. ​TOCC now offers the Pearson Online GED Test at Main Campus. Test information is at www.ged.com.